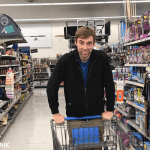 You may have heard about Ryan Grant’s success from CNBC’s article which covered how Grant’s company is making millions doing retail arbitrage It’s the practice of buying pro... More by selling Walmart purchases on Amazon. I sat down with Ryan for a Q&A so I could figure out what kind of mentality and approach sets him apart. My hope was to glean new insights that would be both helpful and fascinating for other sellers. To find takeaways that can help sellers master Amazon retail arbitrage It’s the practice of buying pro... More. And we certainly covered some interesting stuff. Thanks, Ryan! Note: With Ryan’s permission, we paraphrased some of his quotes. The content and ideas are all his. What are the top 3 reasons people fail in this field? Why do you think you’ve succeeded where others have failed? Not knowing the numbers up front, but it’s an easily avoidable mistake. By using the scanning tools as they’re supposed to be used you can avoid this. Make sure you know the shipping and fulfillment costs, so you don’t lose money. I talk to sellers that think they’re about to make a profitable sale, but then find out they weren’t aware of what the shipping and fulfillment costs were going to be. Not putting in the time. People hear about retail arbitrage It’s the practice of buying pro... More, they scan 20 items, say “I didn’t find anything, this doesn’t work”. But in reality, if they would have scanned 100, 200, 300, or 1,000 items, they would have found something and things would have worked better. People don’t give it a fair shot. The sellers that succeed are the ones that take the extra steps. Say you scan an item in the grocery category but you’re gated Selling certain products and bran... More in that category. Take the extra steps to get ungated or go to eBay to sell the item: these extra steps will help you succeed. How many hours per week would you suggest people spend scanning products? It’s going to vary a bit by person and what they have going on in their schedule. If they have a job and whether they want to do this part time. To start, 10 hours a week minimum is ok. That’s enough time to get feedbackA performance rating on a scale of 1 to ... More and to learn; test out multiple stores and multiple categories. If you can dedicate that time, I’m willing to bet you’ll start to see some results. Do you scan every item you see, or do you tend to eyeball stuff and know from experience if it looks like it has potential? When I was getting started, I would scan as many items as possible. The reason for that is to make the least assumptions as possible about which products will and will not sell. I wanted to let the data be my guide. 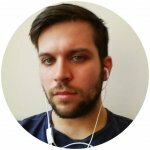 Use rank,number of reviews, profit, etc. When I started, I would just scan away and not put prejudice into what I thought would sell. I’d scan everything in clearance then scan regular priced items too. The more you scan, the more you learn. Over time that gives you more experience, and maybe then you can go through aisles a lot faster and filter things but you can’t get to that point unless you scan everything for a while to learn and gain that experience. On average, how many items do you have to scan in order to find something that is worth sourcing and selling online? What should people expect? I would say when you’re first getting started, as little as 1 percent to 5 percent of the items you scan will be profitable. Right away, it’s difficult to learn. Well, not difficult, but there is definitely things to learn. People sometimes compare what I’ve been doing for 5 years to their numbers just starting out. It’s not crazy to scan 50 to 100 items or more sometimes and not find anything to sell. Do you have strict sourcing rules you apply such as specific thresholds for profit, ROI, sales rankThe sales rank of products on Amazon ind... More, etc. that you apply in the field? It varies by category. The higher the ROI, the worse the rank we’re willing to accept. The better the rank, the more we’re able to take on a lower ROI. When I was first getting started, I was looking for ROI of 50 percent and a rank of 100k or less. Over time you learn how to tweak your rules to make them work better for various categories. Do you only scan clearance items? I scan both. I’d suggest starting with clearance items but after go through full price as well. Seasonality and regionality are also good to take into account. If something is made in your home state but not available in other places, I look for stuff like this. Do you return to the same stores over and over, or are you constantly seeking out new sources? Both. But I’m constantly looking for new sources. When we find a new store that works, we add that to our regular sourcing schedule. We don’t go to the same store more than once per week, just to give the inventory a chance to turn over. How do you find new stores to source from? Basically, by testing them out. Say we’re going to a Walmart, and there are 2 or 3 other stores along the way, once in a while we’ll stop by and do some prospecting. I’d suggest spending 5 to 10 percent of your time scanning trying out new stores. For example, if you’re new, it’s good to do maybe 2 hours per new store in 10 to 20 different new stores. Prospecting takes at least an hour in a new store, usually two. What other types of venues do you use for sourcing products? We do some trade shows on the wholesale side. In general we do both “big box” stores and smaller regional stores. Are you afraid retail arbitrage It’s the practice of buying pro... More could die? I think with retail arbitrage It’s the practice of buying pro... More, the market is ever evolving, so it’s definitely a different phase in the life cycle today than 5 years ago when i just got started. RA is here to stay in some capacity if sellers are willing to sell on multiple marketplaces. If you can sell on eBay or Jet instead of just Amazon. There is still a bunch of potential on Amazon as well ,especially if you get ungated for different categories. In the long run, it’s good to expand to online arbitrage The practice of buying products f... More and wholesaling, but I still see a lot of life in retail arbitrage It’s the practice of buying pro... More. I still see it as the best place to start because the knowledge you gain doing it applies to other business and sourcing models. Do you ever face problems with Amazon asking you for invoices to show how you source your inventory or giving you problems for doing retail arbitrage It’s the practice of buying pro... More? We’ve had a few instances where we had to provide retail receipts, but we haven’t had any issue providing them. We always just make sure to track down the UPC code and/or item number of the product and include it with the receipt in our correspondence with Amazon. We make sure to circle the specific item on the receipt that we give to Amazon. For that I would say that I wish someone would have told me to focus on one thing at a time or one sourcing method at a time. In the Amazon FBA space, there is always someone telling you about the next thing: retail arbitrage It’s the practice of buying pro... More, online arbitrage The practice of buying products f... More, wholesale, private labelThis is what you call products manufactu... More, etc. At different times I was trying to do it all at once and wasn’t making progress. So I wish I would have had someone to say, “hey, focus on one thing at a time. Put a system in place. Once you figure out how to do it, then move on to the next thing”. If you had to start from scratch today in 2018 with a brand new seller account, do you think you could build up your business again? Do you think anyone can do this or is it too late to start in retail arbitrage It’s the practice of buying pro... More on Amazon? I think it’s definitely possible to do it again. I would start in a very similar way, I’d start with retail arbitrage It’s the practice of buying pro... More and get the ball rolling. I’d sell a bit more on eBay than I did when I got started. I’d get as many brand or category approvals as possible on Amazon. Also, I’d put a system in place for RA to get help from other people, then get wholesale going next. I definitely see this as something that still has a lot of life. I want to thank Ryan again for taking time to do this Q&A! If readers have any questions or thoughts that came up while reading this, please post your comments below. You can find out more about Ryan’s work here. If you’re ready to get started building a retail arbitrage It’s the practice of buying pro... More business on Amazon, check out Profit Bandit, our mobile scouting app. Ok, this is so confusing. How is Ryan Grant able to get past what looks like a impenetrable wall of amazon blocking you from selling anything without approval? I got all psyched about retail arbitrage business, got myself a scanner, label printer, pro seller account on amazon, the whole 9. Just before launching into stores to scout, we found a bunch of new stuff in the house, old gifts and things that we wanted to scan and list first. There is a puzzle game, set of hooks, a hotwheels car on card, a book, all new. etc. EVERY SINGLE THING I tried to scan and list ended up blocked on my reseller page with a “Request Approval” button – and once I did that, it informed me that I need to be a certified wholesaler or authorized reseller for that brand with proof of letters from the manufacturer direct, etc. I’m so confused – how did these resellers become millionaires? Walmart, Home Depot, Big Lots, and every other store sell name brands and it looks like Amazon is simply not letting you list anything unless you are a manufacturer/brand-authorized reseller. What am I missing here? I noticed you sent a similar question to our Profit Bandit team so I’m just going to copy paste the answer here so that other people can see it too.